G20 Insights > Policy Briefs > G20 and Africa – Ready for a Steady Partnership? In a world facing growing chasms between poor and rich, terrorism and global pandemics, as well as challenges around political stability and accountability, the time has never been more urgent to facilitate an inclusive global discourse on solving these challenges. There is no doubt that Africa needs to be an active part of the processes of global standard-setting and policy coordination. Africa-G20 cooperation is currently limited to a few single initiatives and an observer status for the AU and NEPAD. This level of engagement is insufficient in light of the current global challenges and strong interdependencies between Africa and G20 countries. Our main proposals are to (A) integrate cooperation with Africa broadly across G20 workstreams and strengthen G20 members’ commitments to Africa’s Agenda 2063 and cooperation on implementing the 2030 Agenda; (B) define and strengthen the role of the AU Commission in enhancing the participation of African representatives in the G20 process, including the summit; (C) consider a full and permanent seat for the AU Commission in the G20 and its work-streams in the longer term; (D) regularise the engagement between the Think 20 and African think tanks and engage with the “T20 Africa Standing Group”. Some African economies are growing, but others continue to face state fragility and persistent extreme poverty. The continent is highly exposed to environmental risks and climate change. At the same time Africa can significantly contribute to global problem solving. In a world facing growing chasms between poor and rich, terrorism and global pandemics, as well as challenges around political stability and accountability and the rise of populism, the time has never been more urgent to facilitate an inclusive global discourse on solving these challenges. There is no doubt that Africa needs to be an active part of the processes of global standard-setting and policy coordination. The German G20 presidency acknowledges this need by strengthening Africa-G20 cooperation. Korean presidency of the G20 in 2010 created a forum for the discussion of development related issues in the Sherpa Track. As the only African G20 member, South Africa’s co-chairmanship of the working group has ensured that African issues are tackled there. Furthermore, a special effort was made during the Korean presidency to bring more African perspectives to the table. Two Pan-African organisations accepted the invitation to become observers at the G20 meetings – the African Union (AU) and the Heads of States and Government Coordination Committee of the New Economic Partnership for Africa’s Development (NEPAD), whose rotating chairs attend every year. However, this current level of engagement between Africa and the G20 is insufficient in light of the current global challenges and strong interdependencies between Africa and G20 countries.2 The G20 countries are members of this forum because they are systemically important to the world economy and financial markets. Yet, they represent first and foremost their own specific interests within G20, including the only African member South Africa.3 Africa, on the other hand, still has the largest number of low-income countries compared to other continents, making it particularly vulnerable to potentially harmful policy measures taken by G20 countries. The G20 countries’ policies have a direct effect on sustainable development in Africa and in the world, for example in terms of climate change or financial regulation emerging from the global financial crisis.4 Strong African voices are therefore essential in the G20. Furthermore, G20 cooperation with Africa should not be considered in isolation and as a stand-alone ‘issue’. 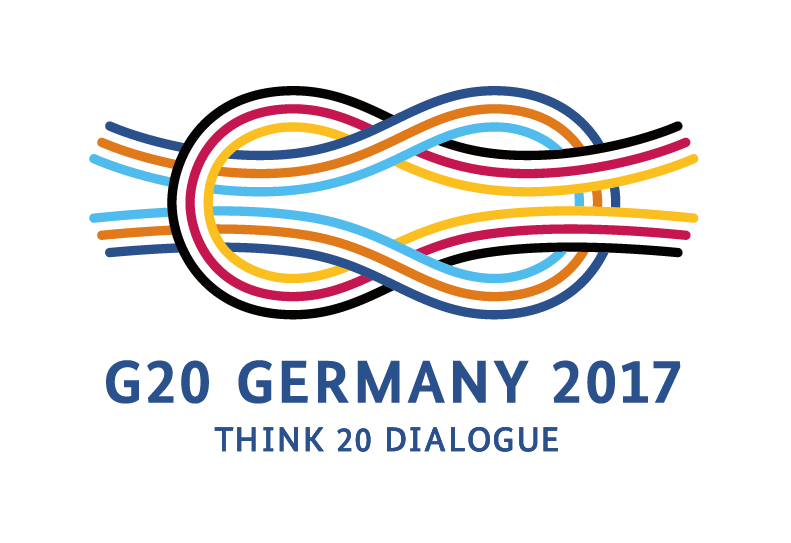 Instead, debates on the effects of G20 countries’ policies should become an integral dimension of all G20 workstreams. In developing a more consistent engagement with Africa, the G20 will have to be aware of the importance of managing expectations, especially given that the G20 is not a financing forum. While Africa should think about how it can influence the G20 agenda on systemic and structural inequities at the global level, the G20 should also clearly identify the limitations of international cooperation. International trade, finance, development and security policies can play a key role. Yet, Africa’s sustainable development rests primarily in the hands of African governments and societies. The G20 process provides an opportunity for Africa to strengthen its multilateral engagements on its own policy frameworks for promoting sustainable development across the continent. The success of these initiatives depends on public communication and intensive, high-profile regular political consultations with African partners. (A) Integrate cooperation with Africa broadly across G20 workstreams and strengthen G20 members’ commitments to Africa’s Agenda 2063 and cooperation on the 2030 Agenda. The AU’s Agenda 2063 “The Africa We Want” has defined a vision and action plan for the continent’s sustainable socio-economic transformation, its further integration and promotion of democracy, peace and security. The Agenda’s first 10-year implementation strategy was adopted by the AU Summit in 2015. Africa also has a strong commitment to the implementation of the 2030 Agenda for Sustainable Development that Heads of State and Government decided upon at the UN Summit in September 2015. Pan-African organisations have identified a strong consistency and overlap of both agendas, while the Agenda 2063 is in parts more ambitious, e.g. with regard to objectives of democracy and human rights. Both of these agendas should define the scope and basic priorities for engagement between the G20 and Africa. The 2030 Agenda provides a framework that is not only to guide policies in Africa, but also to instruct G20 members to promote sustainable development in their domestic policies. At the G20 Hangzhou Summit in September 2016, G20-leaders adopted the G20 Action Plan on the 2030 Agenda reaffirming their commitment to align their work with it and to enhance policy coherence for sustainable development. Linking future initiatives to past commitments – in particular the 2016 Hangzhou commitment on support of industrialisation in Africa – is important for aggregating individual initiatives to a coherent policy for structural economic transformation. This provides an opportunity for African actors to hold G20 members accountable to their commitments in the G20 framework and to take the effects of their policies on sustainable development in Africa more strongly into account. Implementing the 2030 Agenda in cooperation with Africa and supporting the Agenda 2063 require policy coherence across G20 work streams and coordination with other international and regional organisations. G20 – Africa cooperation may start with very specific initiatives (such as the Base Erosion and Profit Shifting or the G20’s Compact with Africa), but it should then be expanded to a more broad-based engagement. In light of the strong interdependence between Africa and the G20, the G20 should consider strengthening cooperation with Africa across different workstreams beyond the DWG. (B) Define and strengthen the role of the AU Commission in enhancing the participation of African representatives in the G20 process, including the summit. Cooperation between Africa and the G20 needs to be sustained by a regular and stable governance mechanism. Regional anchorage is crucial, because many of the challenges for structural economic change in Africa can only be addressed at the regional level, although regional organisations face constraints too. Pan-African regional organisations would have to harness and further develop existing capacities on the African continent to bring African priorities to the G20 table. Existing mechanisms of influence such as the G20 observer status of the AU and NEPAD should be used more proactively to bring African perspectives to the G20 work streams. In particular, the AU Commission would need to be mandated to provide the key secretariat support to African representatives in the G20. Such a mandate would have to include a dedicated unit that could facilitate preparatory briefings and debate within the AU and NEPAD on the G20 agenda from year to year. The unit could also coordinate outreach to various stakeholders on the continent, such as the private sector, labour and civil society. The African Development Bank (AfDB) and United Nations Commission for Africa (UNECA) have participated in some G20 activities and could play a similar role to that of the OECD, which provides technical knowledge to its members. In any case, cooperation with the G20 should fit into the continent’s overall strategy for dealing with external partners. The “Kagame report” has re-emphasised that Africa’s global representation should be one of four key responsibilities for the African Union.8 A key objective of the G20 is to shape global rules. Africa should explore this specific role of the G20 and thereby complement its cooperation frameworks with the European Union, with individual G20 members (e.g. the US, China or Japan) or with the United Nations. African think tanks could form part of the support structures to the AU Commission and NEPAD, undertaking for example annual assessments of G20 commitments with relevance for Africa. With regard to the global agenda, such work has traditionally been undertaken by institutions in OECD countries, such as the University of Toronto. Pan-African organisations should draw more strongly on African Think Tank knowledge and expertise when defining their positions across G20 work streams and ahead of G20 summits. Drawing on African Think Tanks’ expertise, a specific G20 Knowledge Center could be created among the pan-African organisations in order to more systematically prepare and support Africa’s engagement with the G20. In the longer term, this centre could be expanded to support pan-African organisations in their relations with other major international partners. (C) In the longer term, consider a full and permanent seat for the AU Commission in the G20 and its work-streams. The observer status of the AU and NEPAD involves a certain degree of informality. Coupled with the organisations’ limited resources, this degree of informality creates few incentives for the organisations to build capacity to cooperate with the G20 that would ensure greater and better participation in the agenda. While the AU and NEPAD are not supranational actors in the way that the EU is, the inclusion of one formal, regionally representative African seat would go some way to addressing the legitimacy deficit, and help in arguing for more African resources allocated to the G20 process. A strong case can be made to give a permanent seat to an African organisation, because of Africa’s continued marginalisation from the global decision-making halls. Pan-African organisations together with African countries would have to decide how they would like to sustain their participation at the G20. One option would be to give a permanent seat to the AU Commission Chair. G20 countries should be open for proposals from Africa on how to include African voices in the G20 agenda on a permanent basis. Unfortunately the global climate currently is not one that is open to greater inclusivity, but if anything, the increasing polarisation within and across societies makes such initiatives imperative. A permanent seat would be meaningless, however, if it did not go hand-in-hand with a process that ensured African voices were becoming more effective in the G20 discussions. (D) Regularise the engagement between the Think 20 and African think tanks, by engaging with the “T20 Africa Standing Group”. During the T20 African Conference in Johannesburg from February 1-3 2017, the T20 and African think tanks from across the continent committed to sustain a more systematic engagement during future T20 and G20 processes.9 The conference organisers (South African Institute of International Affairs (SAIIA), German Development Institute / DeutschesInstitutfürEntwicklungspolitik (DIE), Institute for the Wold Economy (IfW Kiel) have committed to working closely with a core group of African Think Tanks, the previous T20 chairs during the Chinese G20 as well as the future T20 leads from Argentina and the subsequent Presidency. The T20 Africa Standing Group will be launched at the T20 Summit at the end of May 2017 in Berlin. The T20 aims at strengthen systematic outreach towards other engagement groups such as the Business-20 (B20) and Civil-20 (C20) and their initiatives to cooperate with African partners. A more regular, systematic engagement with African think tanks will also incentivise them to allocate more resources to focus on aspects of the G20 agenda than they do at the moment. The next T20 Africa Conference should be organised in 2018 on the African continent to make it well accessible for African think tanks to participate in the initiative. Altenburg, Tilman and Winfried Lütkenhorst (2016): Industrial Policy in Developing Countries, London: Edward Elgar Publishing. ; Lin, Justin Yifu (2017): Africa’s Path for Industrialization, Blog for the German Development Institutes Blog “African Alliances”, posted on 31 January 2017 (http://blogs.die-gdi.de/2017/01/31/africas-path-for-industrialization/#more-896).